The British automaker registers another nameplate with the authorities. Aston Martin has a slew of new models in the pipeline, and it's going to need names to slap on each of them. Now we have an early indication of what the next one (or the one after that) could be called. AutoGuide reports that the British automaker has registered the name "Valen” with intellectual-property offices in the UK and abroad. 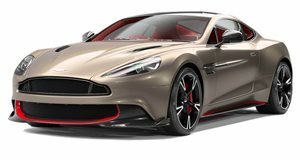 The name draws from the Latin word for "strong” or "powerful,” so it would seem fitting for a high-output vehicle of the type for which Aston is known. The question is, to what might it apply the name? The most obvious answer would seem to be the AM-RB 003 – a mid-engined supercar shown in concept form at the Geneva Motor Show to take on the likes of the McLaren 720S, Ferrari F8 Tributo, and Lamborghini Huracan. 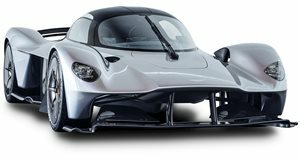 It's slated to follow the Valkyrie and the Vanquish (also shown as a concept in Geneva) in the company's expanding mid-engine supercar lineup. We had been expecting that model to wear the name Valhalla, and it could very well still. But the registration of another nameplate suggests Aston could have something else in the works as well. Aston also recently registered the name Varekai, and was expected it to use on its upcoming crossover that's since been confirmed to carry the DBX handle it wore as a concept. That would ostensibly leave two registered names still to be assigned (on top of the AM-RB 003). Aston could be planning to use these names for Lagonda's revival with a line of luxury electric vehicles. But we'd be surprised if it didn't take the opportunity to differentiate that range with its own nomenclature, and unshackle it from the constricting tradition of naming Aston Martin models starting with the letter V.